FIGURE 3. Veterinarians can help provide owners with cherished memorials for their beloved pets. We are not taught to be good at carrying out death: No one taught us how to walk into an examination room for a euthanasia appointment, what to say to a crying teenager, or whether to hug the elderly man who just lost the pet that was the last link to his late wife. 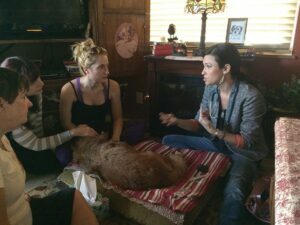 We never received direct guidance about proper verbal and nonverbal techniques that make this “most difficult appointment” just a bit easier on everyone, including the veterinary professional. From numerous discussions with new graduates, we have found that about 75% of veterinarians graduate without ever administering a life-ending medication. Therefore, it’s no wonder that conference lectures about this topic are packed and why our hospice practice has more requests for externs than we can handle. As the only medical profession licensed to euthanize, veterinarians have an incredible privilege and responsibility to handle this procedure properly. If there is one thing to think about when approaching the euthanasia appointment, it is, “What would I do for my own pet?” That is the minimum standard of care you should give your patients and their caregivers. The entire euthanasia process can be broken down into the following 5 stages. Clients hate to be the first ones to bring up euthanasia. They think you will judge them for not caring about their pets, or that you will be angry at them for giving up too early. So you need to be the first to say it. And even if they are upset about the suggestion, at 2 am, when clients are stressed because a geriatric dog has been pacing all night or an elderly cat has peed outside the litter box for the third time that day, they will know that you have given them permission to think about the next step. Show love for the pet. Physically touch the owner. This conveys more empathy than words ever will. Many clients feel they are making an appointment that will kill their best friend; therefore, how your support team handles this scheduling with the client is crucial. The receptionist should have nothing else on his or her mind other than assisting the client: the client should not be put on hold, and the receptionist should not be checking out another client at the same time. If at all possible, background noise should be kept to a minimum. Most important, empathy must be conveyed: Instruct your team to say, “I’m so sorry you’re facing this.” Support staff should not be scared to show some emotion—clients want to know they care. When scheduling the appointment, support staff should retrieve as much information from the client as possible. This is generally the time when clients are most capable of making difficult decisions—emotions will only get more painful from this point on. “Tell me what’s going on with Max.” For this delicate conversation, use open-ended questions because it invites the owner to share information, with no judgment being passed on the pet’s condition. It’s best to get this information up front and record the client’s responses. Then, when the veterinarian walks into the appointment to euthanize the pet, he or she has an understanding of the family’s interpretation of their pet’s condition (because their perception is their reality). “How soon would you like to bring Max in?” Get specifics. “As soon as possible” can mean anything from hours to days. “Do you know what you would like to do with Max afterwards?” Notice that the word “body” is avoided. To the family, it’s not Max’s body, it’s still Max. “Just so you know, the total charge for the appointment, including cremation, is $250. It may be easier for you to write a check out now, so you don’t have to worry about it when you get here.” Pricing the euthanasia appointment should be carefully considered and not itemized. Remember, this is a practice building appointment, not a profitable one. For the support team, collecting payment is one of the most difficult parts of the euthanasia appointment; set everyone up for success by giving the owners the total in advance and gently preparing them for payment. Pets are property. You cannot demand that a pet’s body remain at your clinic. Horses and other livestock are euthanized with barbiturates and buried all the time, and humans are buried with mounds of chemicals in their bodies every day. It is the clients’ choice to bury, cremate, or otherwise honor their pets in whatever way they see fit and at their own risk. However, it is your responsibility to educate the owner on proper burial techniques. If the pet is still eating, suggest the owners bring in a favorite treat or something special like ice cream or chocolate (or provide this in the examination room). Owners are happy to see their pets enjoying something good when they are saying goodbye. If there is a calm housemate, invite the owners to bring this pet along. Many dogs and cats have some level of grief when they lose a friend, so allowing them to be present or minimally sniff the deceased pet after euthanasia may provide closure. This also provides company for the caregiver. 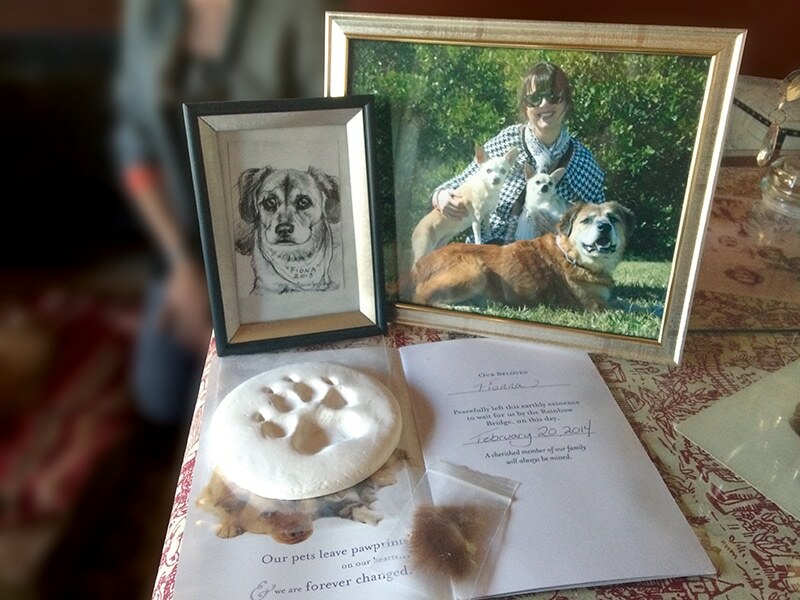 Invite owners to bring a toy or other keepsake to go with their pet for cremation. Ask what kind of car the owners will be driving and direct them to park in the designated “Love Spot” for geriatric patients near the front of your clinic. If the dog is large and you know the family is burying him at home, offer to perform the euthanasia in the car (Figure 1). FIGURE 1. This dog loved being in his car and the owner asked if euthanasia could be performed there. There is no reason why this can’t be done. For those large dogs that can’t move, nothing is worse than having an owner struggle to get them in the clinic. Owners should not decide if their pets should be sedated (we are the ones to make medical decisions, not them, and sedation should always be provided). Have one nice urn chosen for all private cremations and included in your price (your crematorium may have a standard urn option). Only give the owners the option to choose something else if they ask. The most outrageous trend we have heard is that some clinics charge more if the owners want to be present. We understand the thought pattern behind this—the need to provide an indwelling catheter and more room time with the family—but imagine what this looks like to the owner, who thinks, “What are you doing to my pet if I’m not present?” If the owners don’t want to be there, they will tell you, so assume they will be. Paperwork ready, dated, and in the room. Room itself set up properly, and someone prepared to assist the client. Support team meet the family at their car and help them into the clinic, shuttling them to the room immediately. Paperwork is best completed at this time. Put a large fluffy bath rug (with a rubber sole) on the ground or on the table. Soft, pretty blankets and towels specific for euthanasia should be used to wrap the pet in. Provide soft background noise, perhaps a water feature or soft music without words. Have a basket ready with items, such as tissues, water bottles (dehydration is a common side effect of crying), a small mirror (women like to check their makeup after they have cried), a small cloth bag for the pet’s collar to go in, a container to place hair clippings in, and material to make a paw print. Dim the lights, if you can. If not, have a lamp in the room and turn off the fluorescent lights. The veterinarian should go into the room and preferably not leave again until the pet has passed (unless the owner requests time alone). Go in with the sedation and euthanasia solution already in syringes in your pocket or give them to your technician. Speak to the client and make a visual assessment of the pet. Do not pass judgement or appear to be uncomfortable with the decision unless you are certain you will not euthanize. Discomfort from you or your support team could leave a family with guilt for years. If you are comfortable with the euthanasia, verbally reassure the owner that “we” are making the best decision. Offer owners some time alone with their pet. If they want time alone, hand them the “ringer” portion of a wireless doorbell. Have the bell portion in the treatment room or give it to the technician assigned to the case. That way, the owners do not have to leave the pet to find someone when they’re ready. The human–animal bond should never be broken (Figure 2). FIGURE 2. 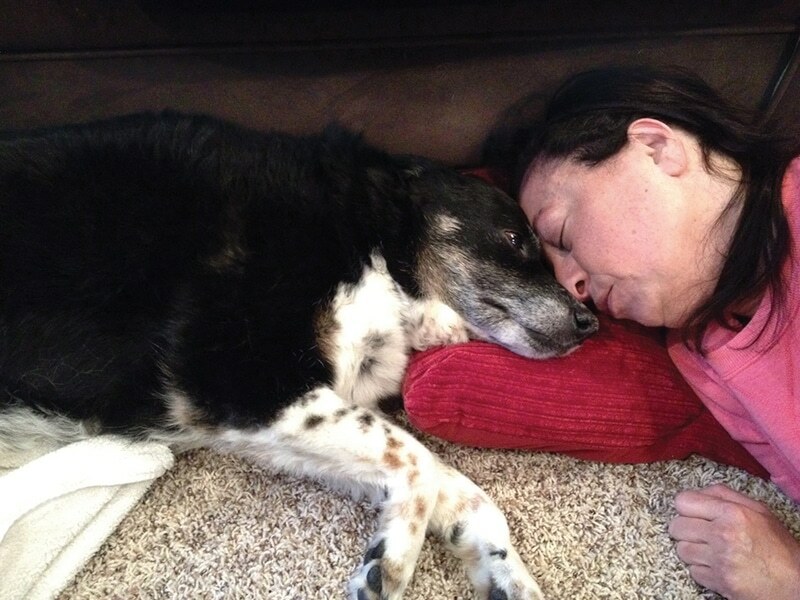 Every moment of the euthanasia appointment should take into account the bond between the owner and the pet. Sedation. Intramuscular or SC sedation is crucial for the client’s experience, and we are always discouraged to learn how many veterinarians do not sedate pets before euthanasia or provide only IV sedation (in which the pet rapidly goes from consciousness to unconsciousness, appearing dead). Having 5 minutes for the pet to slowly relax gives owners time to watch their pet get comfortable. Euthanasia. When it comes time for the final medication, let the owner know you are proceeding. They should be told that the pet will pass in 30 to 60 seconds. Whether you use an indwelling catheter, butterfly catheter, or straight needle, do your best to stay out of the way of the owner. Let them hold the pet and instruct them to, “keep talking to her; she can hear you.” Giving the owners something to do keeps their focus off you and this surreal moment for them. Stay present in the room for a few minutes as you gather the syringe and supplies. Watch for agonal breath(s), twitching, or any other movements, which generally happen within 1 to 5 minutes postmortem. Since we do not recommend warning about these side effects before administration of medications, this is the time to explain them if/when they occur (see Euthanasia Practice Building Suggestions for phrases to use if this happens). Walk in with a gentle smile. Be genuinely happy to see the family and be there with them for this important moment. Greet the pet with a positive statement like, “Hi, handsome!” People have been telling this client for a long time how awful his or her pet looks, so it’s a nice change for them to hear someone acknowledge the same beauty in the pet that they see. You can always change your mind if you’re not comfortable euthanizing a pet, but it’s hard to make up for guilt the owner may feel. Be aware of the owner’s body language when offering alternatives to euthanasia, and only do so if you are certain you will refuse to euthanize and/or if the client specifically asks for these alternatives. An alternative for handling paperwork is to have the client sign the consent form after the euthanasia process is explained. The last 15 to 30 minutes the owner has while his or her pet is still alive are precious. You would never want your pet taken from your arms at this moment, so consider not removing them from the room for IV catheter placement. Clients appreciate being involved in each part of the process, as well as not being left alone. Hug the owners afterward. If you’re not a hugger, a gentle touch on the hand or shoulder will convey more empathy than words ever will. 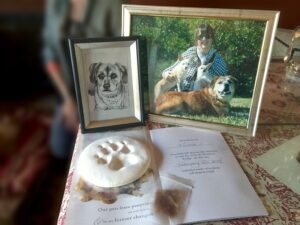 The paw print is the most traditional and cherished memorial item—sometimes even more than cremains (Figure 3). With air dry clay like Model Magic (crayola.com), this is inexpensive and takes very little time. Many clinics make the paw print after the clients leave, but you are missing a huge opportunity to make the owners feel a little bit of joy by giving them one to take home (at no charge). Here’s how we suggest providing the paw print. As soon as the owners hear their pet has passed, grief washes over them and they typically begin to cry. Give them a few minutes as you quietly prepare to make the paw impression. When it’s appropriate, let them know you will be making a paw print for them to keep. As you delicately push each phalange into the clay, the clients focus on the creation in front of them. Carefully hand them their new treasure and tell them how to store it. Many owners will want their pet’s collar and leash. Have a lovely bag that they can place these in so that they don’t have to walk through the clinic with the leash in hand. Some owners appreciate a locket of fur. We provide special containers for the clippings that are available at any craft store. The veterinarian making these memorial items has a return on the time investment that is priceless. Encourage all the veterinarians in your clinic to provide these few tokens of respect. How the support team handles the body is a reflection of respect for the life around us. Everyone should handle the body as if it were his or her own pet. Many veterinary distributors carry colored body bags that steer away from the “trash bag” appearance of black body bags. This is another way to help the veterinary health care team feel more respectful of the body and, therefore, more respectful of euthanasia in general. A call the next day from the veterinarian is a way to exceed clients’ expectations. Do not shy away from euthanasia follow-up. This one display of empathy can impact the client enough that he or she never considers using a different veterinary clinic. Ask the family to send a photo and/or memorial for a “Rainbow Bridge” wall in your office. This is a wonderful way to honor the pets you treat and help maintain your bond with the family (Figure 4). FIGURE 4. Proper handling of the euthanasia process can take a difficult moment and turn it into a more positive experience. If owners need time alone after the euthanasia, allow them that time and hand them the wireless doorbell again. This way, a technician can come back into the room as they leave. Once the owners have left, the team can handle the body. If it is a large pet, always treat the pet respectfully and cover them with a nice blanket. Discreetly carry the pet to the treatment room. No other client should be privy to what’s going on and by no means should anyone see a pet in a plastic body bag! The Practice Building Suggestions presented in this article are part of the authors’ Platinum Level Communication sessions that have been presented at national and international veterinary meetings and through veterinary school courses. Sympathy cards are a given, and handwritten messages are worth the time. Every support team member who knew the pet and family should have an opportunity to write in the card, not just the veterinarian. 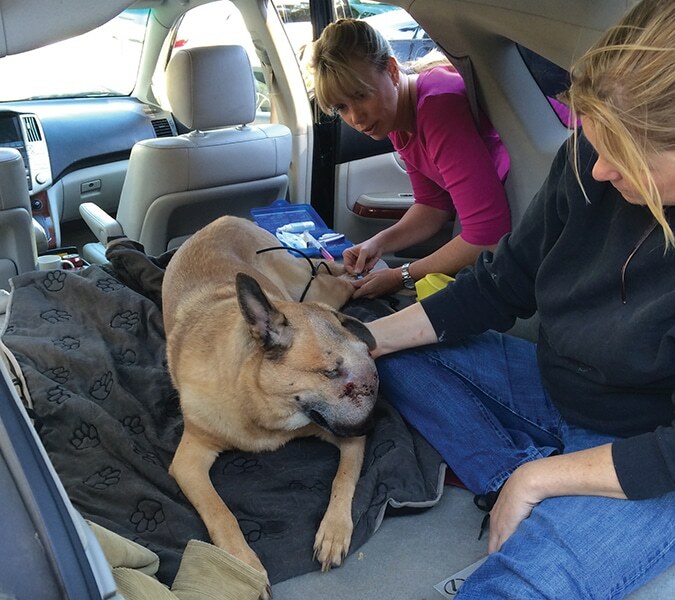 Owners like to see that their pets were loved by the veterinary team. If we had to emphasize one thing that improves your end-of-life care for pets and their families, it’s the provision of the best from the get-go. Provide the kind of care that exceeds the expectations of 95% of the population. For example, almost everyone loves the paw print. Yes, one or two may not want it, but that’s okay. Provide what you consider to be top notch, and adjust your procedures only if the clients ask. The euthanasia appointment should not be the end of the client relationship, but instead should be the beginning of the next relationship you have with them. And remember, if it were your own pet, what would you want? If it’s difficult for the receptionist to quote prices for cremation, then don’t have him or her do it. If the team doesn’t like the way the crematory handles the bodies, speak to the owner of the crematory. If a veterinarian has a hard time euthanizing the ”drop-offs,” then have a couple of technicians serve as “family” for the pet, and even perform the euthanasia in the comfort room, with the same love, care, and dignity as if the owner were there.